Co. Limerick: Dunmoylan Kilcolman, Kilfergus, Kilmoylan, Loghill, Nantinan, Rathronan, Robertstown, Shanagolden. The new Glin Union workhouse was erected on a six-acre site half a mile to the south-east of Glin. Designed by the Poor Law Commissioners' architect George Wilkinson to accommodate 600 inmates. Its construction cost £5,900 plus £1,115 for fittings etc. 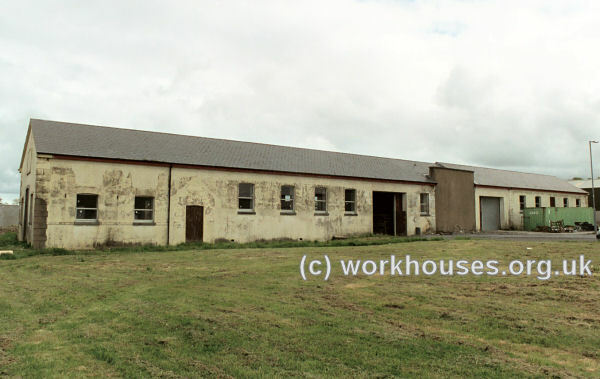 The layout was somewhat different to Wilkinson's earlier designs, and had similarities to the workhouses at Castlecomer, Clonakilty, Urlingford and Mitchelstown which were built at around the same time. The front of the site at the north had a central entrance archway, flanked by what were originally two-storey blocks to each side. These may have contained children's accommodation and school-rooms. To the rear was originally a T-shaped block with a single-storey range running northwards towards the entrance — this would probably have contained the workhouse chapel and dining hall. Two each side, running west to east, were further accommodation ranges for males and females. A further block, perhaps containing an infirmary or lunatic wards lay to the south. A separate T-shaped building, possibly a fever hospital, was erected at the south-west of the workhouse. Following a decline in the use of its workhouse, the Glin Board of Guardians petitioned the Local Government Board to dissolve the union. This took place on 30th September 1891 with the union's constituent divisions divided among the adjacent Listowel and Rathkeale unions. 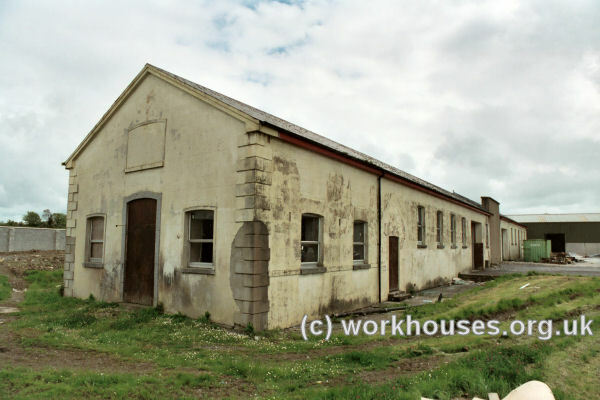 In 1893, the unions of Croom, Kilmallock, Limerick, Listowel, Newcastle and Rathkeale combined to set up a District School which was to be located in the former Glin workhouse building following its adaptation for the purpose. Teaching at the school was undertaken two religious orders, with the boys being taught by the Christian Brothers and the girls by the Sisters of Mercy. The institution's site location and layout are shown on the 1923 map below. By this date, an additional southern range appears to have been added onto the central portion of the premises. The District School continued in operation until 1926. In 1928, the premises were converted for use as St Jospeh's Certified Industrial School for Roman Catholic Boys, also run by the christian Brothers. St Joseph's remained in use until 1966. 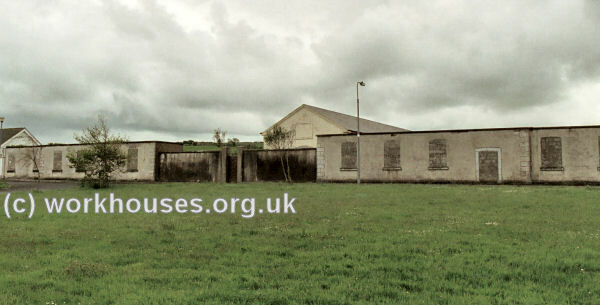 The School buildings no longer exist and the site is now used for commercial purposes. Kerry County Library, Moyderwell, Tralee, Co. Kerry. Holdings include Board of Guardians' minutes (1870-91).